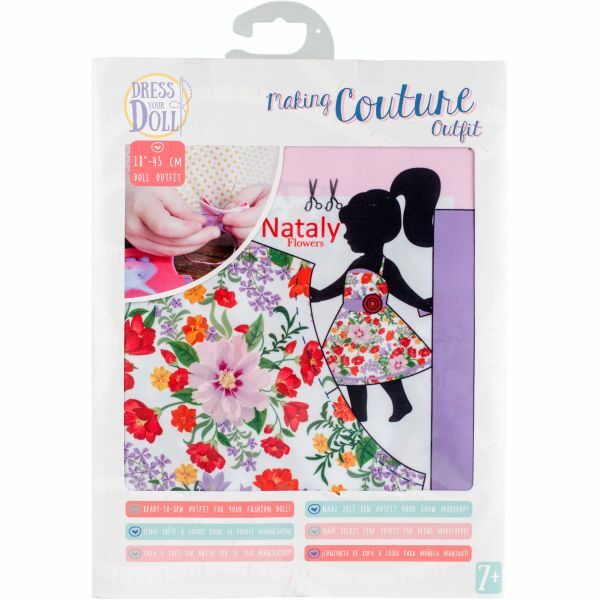 Dress Your Doll Making Couture Outfit Set - With Dress Your Doll, children can get to work and create a wardrobe for their 18 inch fashion dolls. The pattern is preprinted on a stretchy polyester fabric that does not fray. Simply cut out the pattern pieces and sew together along the dotted lines. 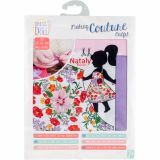 This 9.5x12.25 inch package contains one outfit to sew and one paper pattern. Conforms to EN-71, ASTM F963-11, CPSIA. Imported.